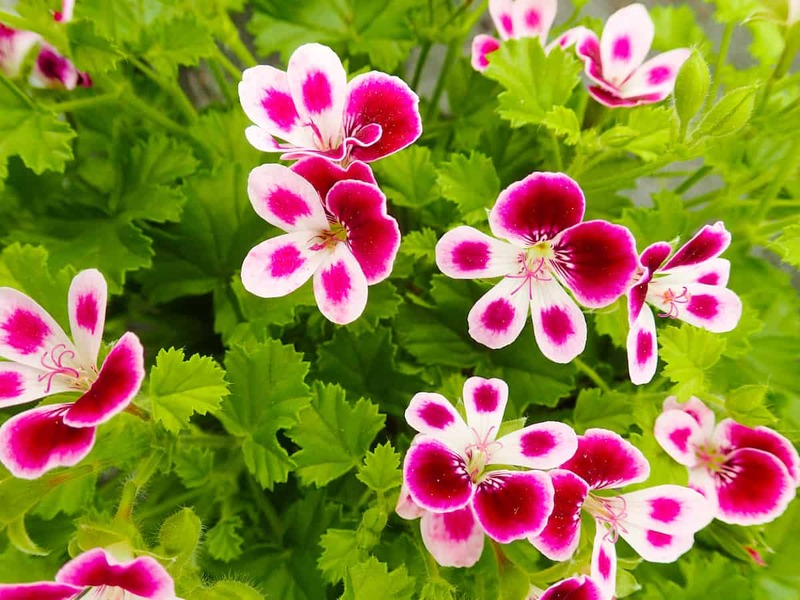 Rose Geranium Pelargonium graveolens is an erect, multi-branched shrub, that grows up to 1.5 m and has a spread of 1 m. The leaves are deeply incised, velvety and soft to the touch (due to glandular hairs). The flowers vary from pale pink to almost white and the plant flowers from August to January. The leaves may be strongly rose-scented, although the leaf shape and scent vary. 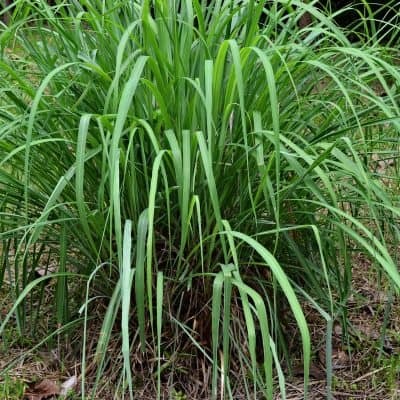 Some plants are very strongly scented and others have little or no scent. Some leaves are deeply incised and others less so, being slightly lobed like. If you are fond of the sweet, floral fragrance and soothing effects of Geranium, then you’re going to be hooked on our Rose Geranium oil, it is absolutely beautiful! It’s aroma is sweet, uplifting, and one can clearly note the scent of both Roses and Geraniums, simply divine! 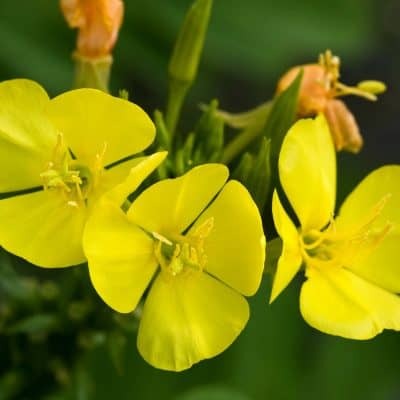 This oil is perfect to wear as a fragrance or use medicinally. 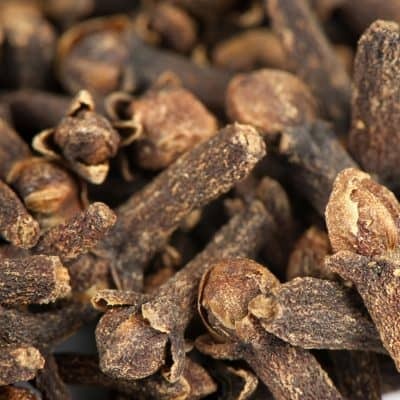 Anti-bacterial, anti-fungal, antiseptic and anti-inflammatory – It eliminates or stops the growth of fungi and bacteria on wounds and keeps them from developing nasty infections. Anti-hemorrhagic – As a styptic, it maintains normal blood flow by contracting the arteries and veins. Its hemostatic properties allow for faster coagulation thus, aiding in blood clot. Both of these properties are helpful in healing wounds and warding off infections. Cytophylactic – It can aid in improving metabolism, which is vital in maintaining the health and development of cells. Cicatrisant – Rose Geranium essential oil is excellent for treating a variety of skin disorders such as acne, eczema, dermatitis, rashes and fungal infections. As cicatrisant, it can make scars fade away slowly and restore the skin’s flawlessness. Diuretic – It assists in urine discharge from the urinary bladder thus eliminating toxic and excess elements from the body that include sodium, bile, and fat. Moisturizer – The essential oil of Rose Geranium acts as a natural cleanser and hydrator. Either used directly or added to water, it can help you achieve a clear, glowing skin. This essential oil also serves as an anti-aging agent as it tightens muscle tissues, keeping the skin from premature sagging. You can make use of Rose Geranium essential oil in a number of ways. For example, you can either add a few drops of it to your warm baths or use it as massage oil. Combining it with lavender oil in an almond and Vitamin E oil base can create a soothing massage oil that is perfect relieving tension. To use it as an insect repellent, simply place one or two drops on a tissue and rub on exposed areas. Rose Geranium is also effective against head lice when added to shampoo. Apply directly to skin or enjoy an aromatherapy steam facial to beautify skin. Combine with a carrier oil for an amazing massage. Add a drop to your favorite skin moisturizer. Add a few drops to shampoo or conditioner. Apply to skin after showering for a smoothing effect. Apply to underarms following an intense workout or day out in the sun. Diffuse to enjoy a pleasant aromatic experience. Add to your next do-it-yourself potpourri. Place one drop in the palm of your hands, rub hands together, cup your hands over your nose and mouth and breathe slowly for a calming, grounding effect. Beautiful! An uplifting scent of Rose and Geranium, this oil is simply divine.